« Vintage Friday: A Robot Dog from the 1960s! 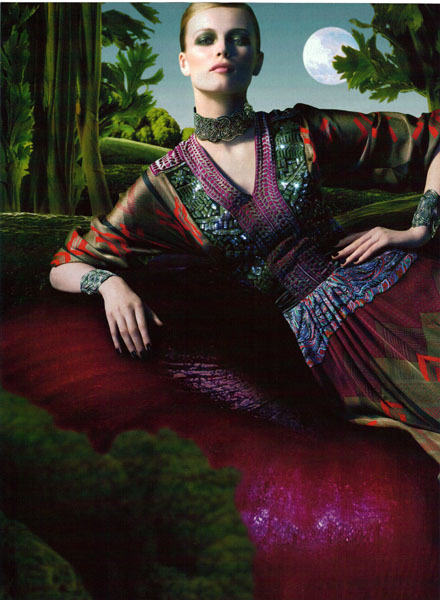 This is an ad for Etro fashions and was found in a magazine. This ad definitely caught my attention with it’s unusually bright colors. The problem is that even though it is extremely striking and the images are very attractive, it doesn’t display the clothing very well. The bright backgrounds are really cool and definitely totally different from what I’m used to seeing in fashion ads, but the dresses blend in too well! 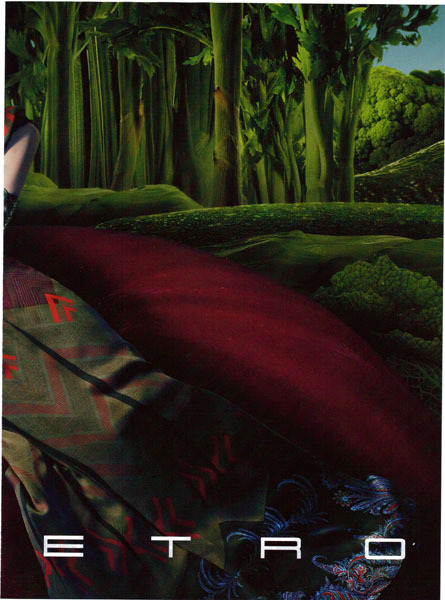 They’re all in exactly the same hues as the backgrounds and just as busy, making the details not so easy to see. The idea of looking like an exotic bird of paradise is definitely conveyed here, though. That idea is appealing to many and just the impression might be enough to get some people to look more into the line – check out the website or something. But is that enough for such a large (4 page) ad? Wouldn’t you want to actually get people to go “ooh! I want that!”? In this case, maybe getting them interested and standing out from the crowd was enough. I don’t know. This entry was posted on January 30, 2010 at 12:00 pm	and is filed under Fashion. 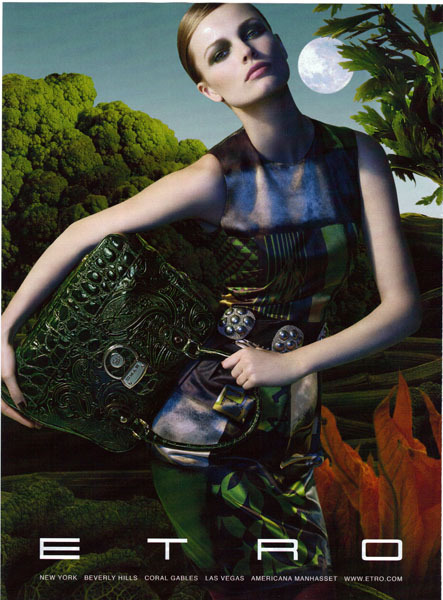 Tagged: etro, print-ad. You can follow any responses to this entry through the RSS 2.0 feed. You can leave a response, or trackback from your own site.